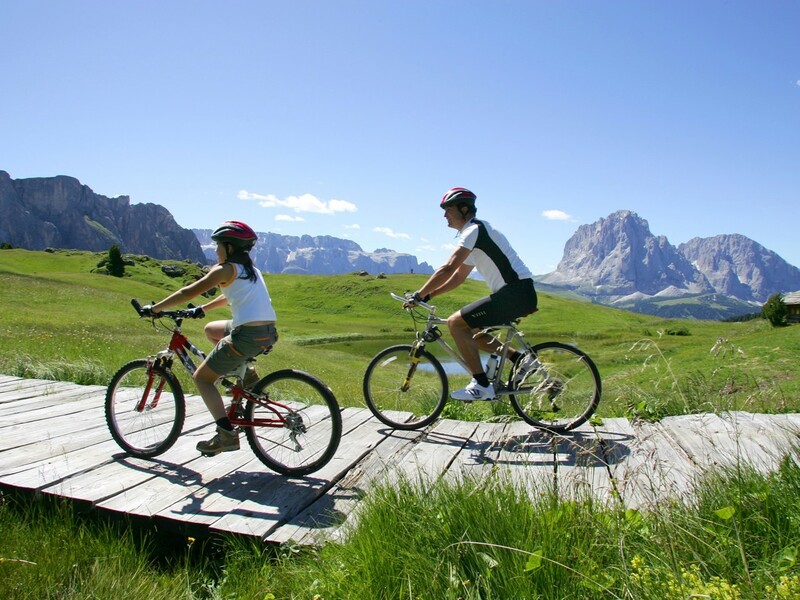 If you are fond of mountain biking and discovering the landscape of the Dolomites this way, Gröden and Seiser Alm are the perfect choice for you. 30 wonderful, perfectly marked tours with different degrees of difficulty enable passionate cyclists and mountain bikers to discover the “pale mountains” from the most beautiful point of view. As well, you should visit the countless mountain huts on your way and taste the culinary delicacies of the local cuisine. In the surroundings of Gröden and Seiser Alm high plateau, bikers will look forward to a trail network with around 1,000 km, with technically challenging as well as with tours for beginners. 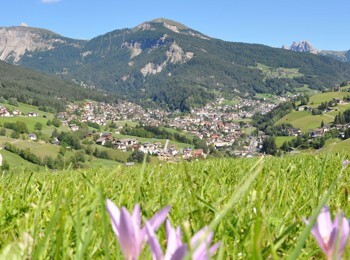 A special feature of Gröden and Seiser Alm is its diversity. In fact, the cycle paths are situated at an altitude form 700 to 2,450 m and in the middle of meadows, fields and dense woods at the foot of Mt. Langkofel and Mt. Plattkofel. For instance, you can reach Seiser Alm high plateau from St. Ulrich in Gröden with “Mont Sëuc” cableway or – a little bit more challenging and exciting – via different forest roads, starting from neighbouring St. Christina. On the other side of the valley, you can find the popular pastures of Raschötz and Seceda, which are a must-do for all ambitioned bikers thanks to their position at 2,500 m. After the ascent with lift facilities, a medium-difficult tour with fantastic panoramic view runs at the foot of Geisler peaks in Puez Geisler Nature Park, which is also part of the UNESCO World Natural Heritage. A highlight for passionate mountain bikers is famous Sellaronda. 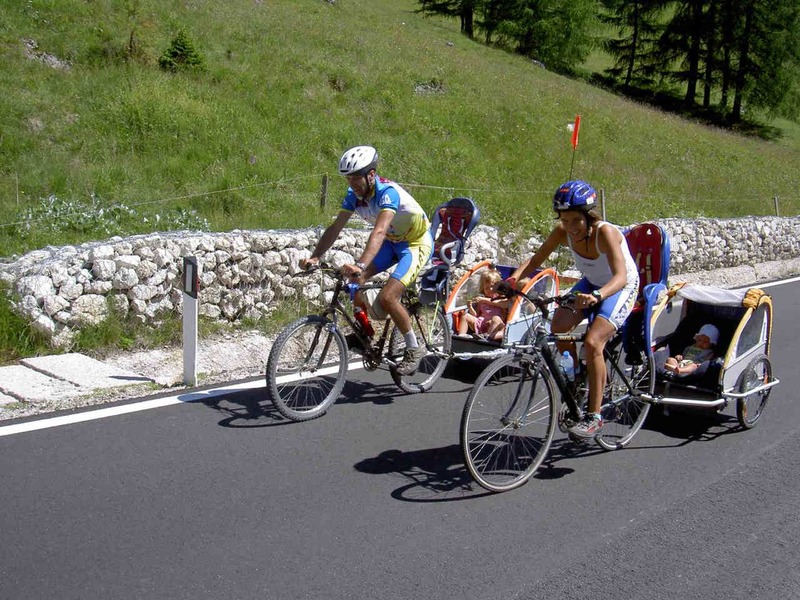 It is not only a ski carrousel in winter, but also a challenging bike tour, which can be made clockwise or counter clockwise. The lift facilities will help to shorten the tour. 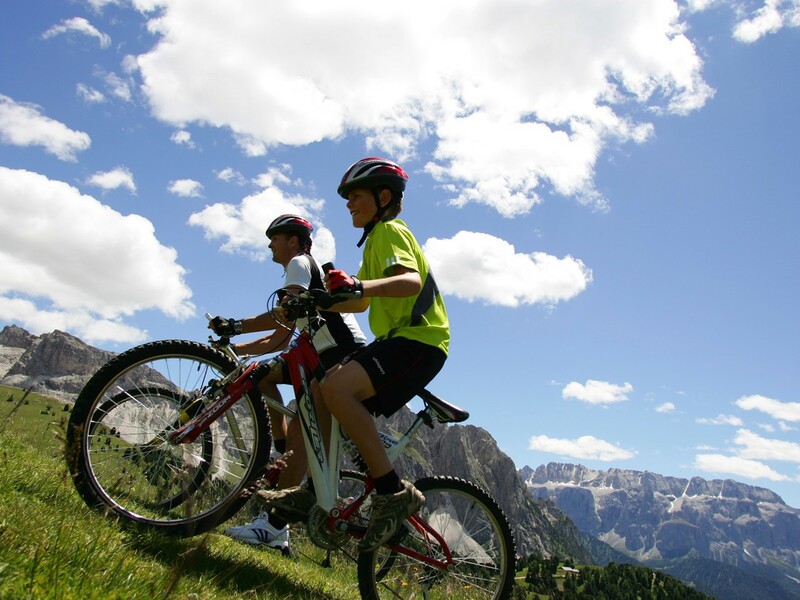 It does not matter which track you choose, Gröden and Seiser Alm always offer unforgettable bike experiences with breath-taking views over picturesque landscapes.